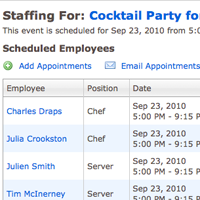 For each event, quickly find employees by position, check to see if they are available, and schedule them to work. 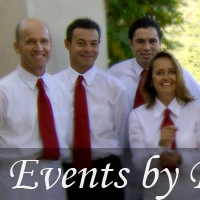 Our staffing assistant provides a great tool to keep track of who is working for an event. 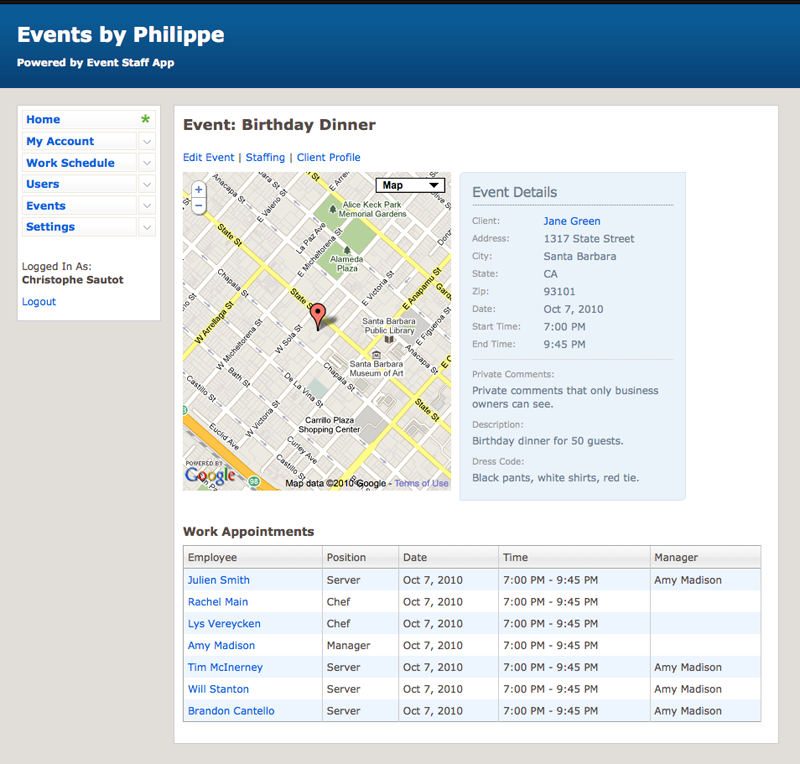 Access work schedules and event details on the go. We offer a mobile friendly version of the app that you can view on your phone or tablet. We also support mobile communication via text/SMS message notifications. Quickly send emails to your employees to see if they are free to work. Or, let them know that they are scheduled to work an upcoming event. 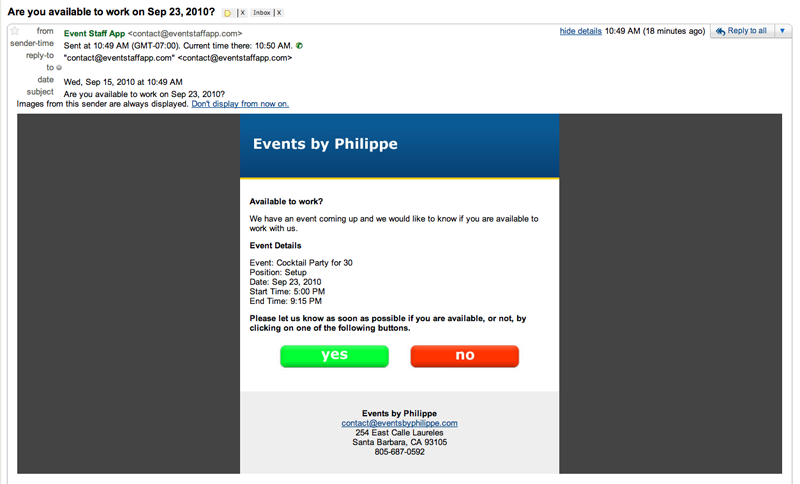 And for those employees that don't check their email, they will also receive a TXT message on their phone. Cut down on your phone time with employees, increase clarity in communication, and get fast answers through email notifications. 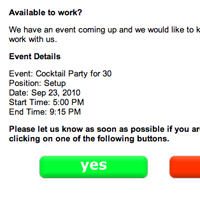 Ever had an employee contact you at the last minute for where, or when, they need to be at an event? 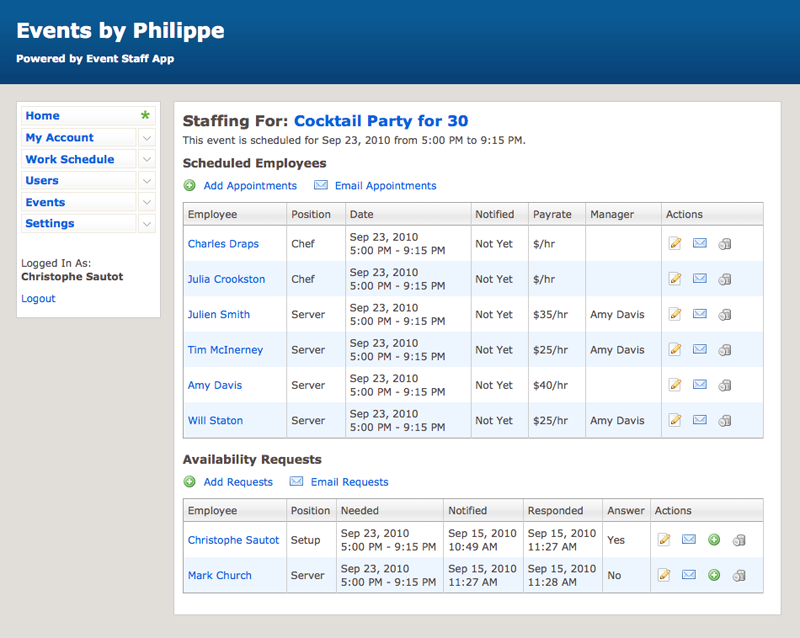 Now your employees can have constant access to event details for their work appointments. 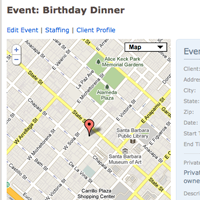 In addition to detailed information, including a map, event pages also show who is working at an event. We want to change the way you hire. 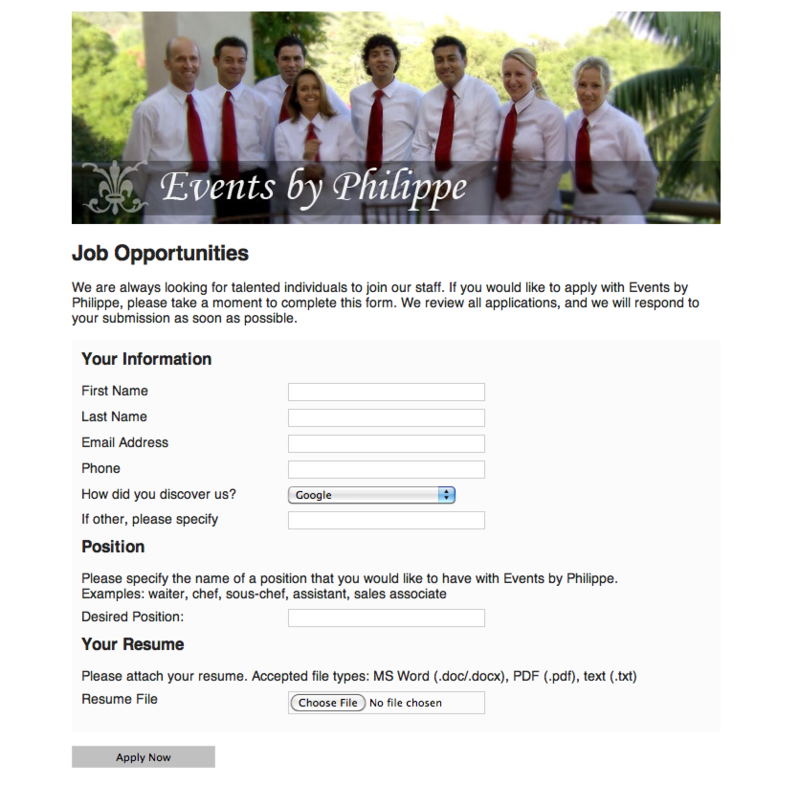 Easily share a job opening across the web and accept applications online. You can also review, and act, on the applicants through our system. 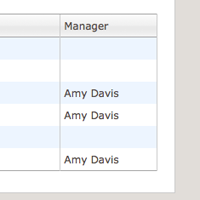 Assign optional staffing managers for each event, and allow your managers to help with selecting employees.